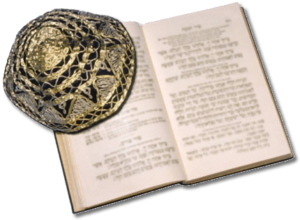 Do you want to get a better appreciation of Torah and your temple members? Want to start your Shabbat off right? Maybe you are just an early riser who doesn’t want to wake anyone? Join the Rabbi for our new weekly text study. No Hebrew needed. We’ll study text in English. We will start at the beginning and see how far we get. Come when you can or come every Saturday, 8:30am at the Temple for lively discussions. The door is open to open your mind! Any questions email Rosie Buja. In roughly 360 years, Jews have made a tremendous impact on the United States, and the United States has made a tremendous impact on Jews and Judaism. Recently, important studies have asked questions about the future of Judaism in America. In order to answer those questions as they relate to each of us, we must know about our past. Come join Rabbi Alpert as together we learn about what made us the people we are today. Because the story of Jews and Judaism in America is largely a story of immigrants, participants will have an opportunity to research their own families and share the story of their immigrant past with each other. Adult education is designed for everyone to participate with courses ranging from Introduction to Judaism, to Hebrew 101 and weekly Torah study for adults.